Tashi Delek to all for the wonderful day. THIMPHU, Bhutan: Google provided a sneak peek into Bhutan Thursday by unveiling a Street View project for the remote Himalayan kingdom, featuring panoramic views of its majestic mountains, monasteries and crystal-clear rivers. The “Land of the Thunder Dragon” has long been one of the most isolated countries on earth, only lifting its ban on television in 1999. Most foreign tourists have to pay a minimum $200 a day to visit. But in a sign of its more recent embrace of modern technology, the government allowed Google to undertake a Street View project that could showcase some its natural treasures for Internet users. “Most governments love Street View because it promotes tourism – they are drawn to its commercial benefits,” Google’s Divon Lan, one of the Street View managers, told AFP on Thursday as the project was launched. The year-long project kicked off in March 2013 with a Street View car travelling across the country’s 3,000-kilometre road network. The car, mounted with a custom-built camera containing 15 lenses that recorded more than a million photos, drew some curious responses during its journey, Lan said in an interview in the sleepy capital Thimphu. “Villagers would see this strange-looking car and ask the driver about it. When he told them it was being used to take photos, they would get very excited and try to peer inside,” added Lan, who was involved in the digital mapping of Cambodia’s Angkor Wat temple complex. The resulting stream of rapid-fire 75 megapixel images offers audiences a view of a land seen by very few, with the country welcoming its first tourists just 40 years ago. Since then, its stunning scenery and its reputation as a Buddhist “Shangri-La” has attracted tourists, but numbers are tightly controlled. 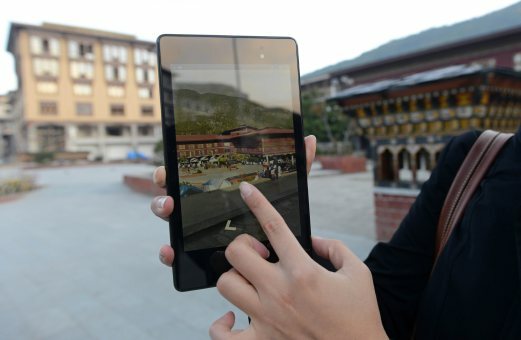 As well as being able to catch a glimpse of Thimphu, virtual visitors will now be able to see attractions such as a 17th century monastery known as the “Palace of Happiness” in the former capital of Punakha. Other sites include the national museum which is housed in a 17th century watchtower in the town of Paro and the Trongsa Dzong, the country’s largest fortress which overlooks a rocky river gorge in central Bhutan. Despite its past reputation as a hold-out against the 20th century’s advances, Bhutan has become something of a champion of the Internet and mobile technology era. It has a largely rural population of just 750,000, but Bhutan’s two cellular networks have 550,000 subscribers. And the last official figures in 2012 showed more than 120,000 Bhutanese had some kind of mobile Internet connectivity. Tourists however say the remoteness of a country which is wedged between China and India remains its main attraction. Its approach to tourism reflects “an incredibly delicate balance” between seclusion and openness, said Melissa Biggs Bradley, CEO and founder of the luxury travel website Indagare.com. “One of the great appeals to the tourist is how closed it is, how rare it is to see another tourist and therefore how easy it is to have meaningful exchanges with locals,” Bradley, who visited Bhutan for the first time last month, told AFP. Her views were echoed by Mary Jane South, a 52-year-old Canadian on her maiden visit to the country. South told AFP Bhutan offered “more of a road less traveled experience” compared to neighbours like Nepal, which saw 800,000 visitors last year, nearly eight times the number recorded by Thimphu. Damcho Rinzin, spokesman for the national Tourism Council of Bhutan, said that while visitors were welcome, the country did not want to become just another travellers’ destination. The push to preserve traditional culture is reflected in the traditional clothing worn by men and women – mandatory at public functions and offices. 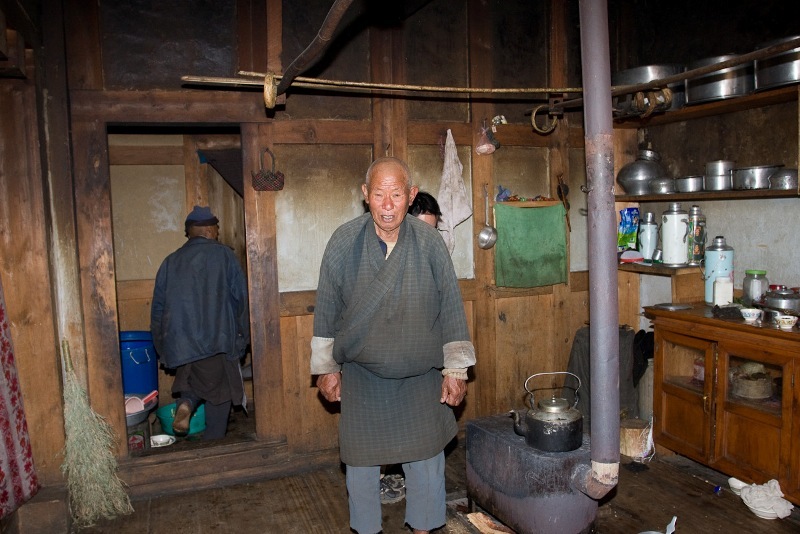 Experience the best of typical farm house stay and warm hospitality of Bhutanese at remote regions of Bhutan. Find the difference in living standard between rural and urban areas, see the most happiest people in the world and the peaceful families. 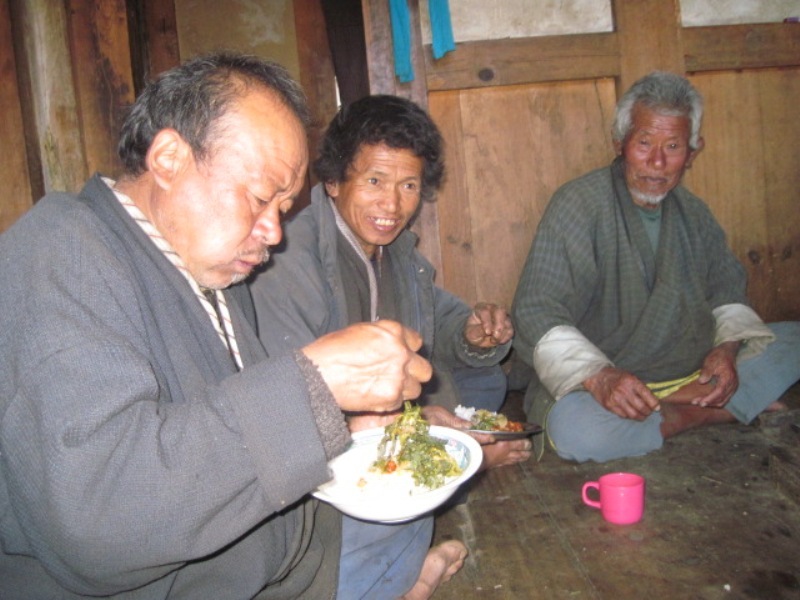 Know all the secrets of why people in Bhutan are the most happiest among all. Take out strong message and separate the importance of self happiness, social happiness and simplicity of the life. 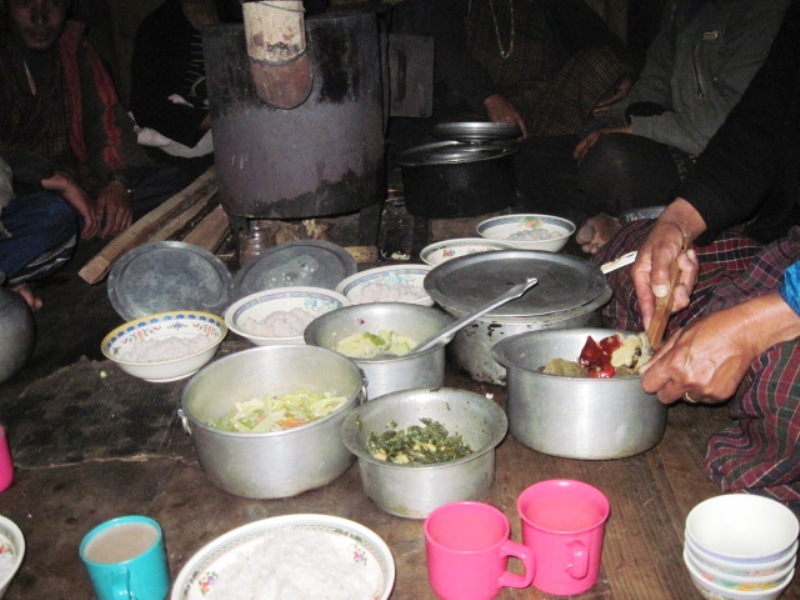 We organize series of local activities which can give you access to direct interacting with typical Bhutanese families, having meals with them, sharing unheard stories, let you have best bath ever you had in life, hot stone bath or “Dotsho”, try archery competition with locals, try photo shooting in Bhutanese dress- Gho for men and Kira for women and many more. 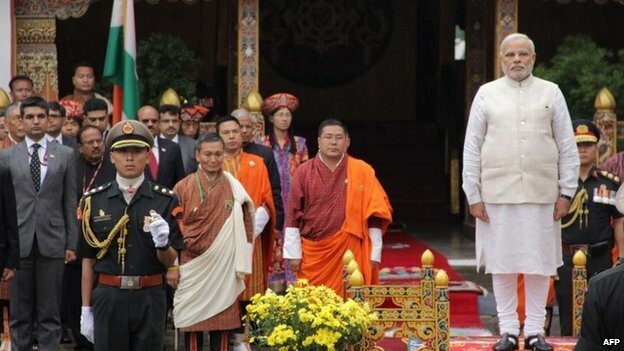 While Bhutan is important to India because of the friendship between the two countries, lyonchhoen Tshering Tobgay said, Bhutan’s future is closely linked with that of India, particularly when it comes to the economy. That Prime Minister Narendra Modi takes Bhutan and the region seriously, was the message lyonchhoen Tshering Tobgay took from the Indian prime minister’s address to the joint session of Parliament yesterday in Thimphu. 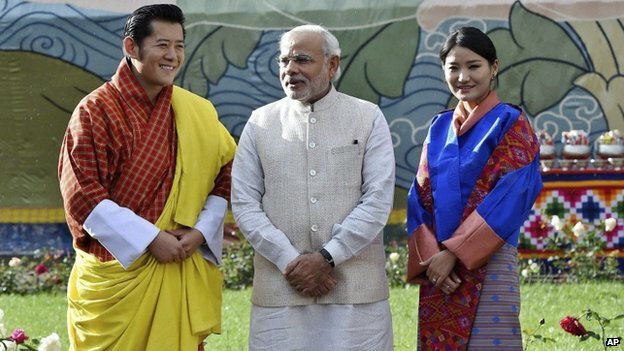 For India and Bhutan, Prime Minister Modi’s two-day state visit was a celebration of friendship between the two countries, one where both the countries did not consider any political benefit or economic gains, lyonchhoen said. Both prime minsters also highlighted the impact of India’s prosperity in the region in their statements. 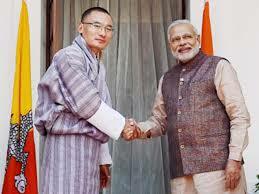 Prime Minister Modi, in his address, said only a strong and prosperous India can help alleviate the problems that its neighbours faced, while lyonchhoen Tshering Tobgay said that, if India prospers, Bhutan should prosper. 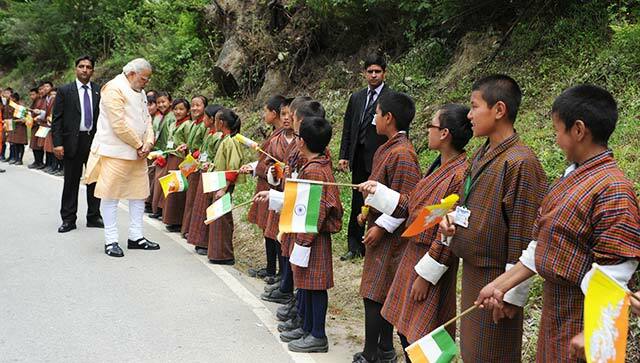 Prime Minister Modi, who addressed in Hindi ,also spoke about the large share of budget Bhutan allocated to education, and said that this reflected Bhutan’s investment for the future. India, he said, was keen to make a contribution to this investment, and announced to double the Nehru-Wangchuck scholarship to Rs 20M a year. The government of India would also provide grant assistance to establish a digital section/e-library at the National Library of Bhutan and in all 20 districts across the country. A Bhutan-India joint press statement stated that the two governments recalled the free trade arrangement and the expanding bilateral trade between the two countries. The joint statement also stated that the two countries agreed to continue with their close coordination and cooperation with each other on issues relating to their national interests, and not allow each other’s territory to be used for interests inimical to the other. India’s external affairs minister Sushma Swaraj also called a press conference yesterday, to convey the Indian delegation’s satisfaction on the successful visit of Prime Minister Modi’s visit. As Prime Minister Modi is seen as a doer and one who applies the mantra of skill, scale and speed in everything he does, Sushma Swaraj said, the pace of hydropower development between the two countries would now gain speed. His Majesty The King hosted a luncheon at the Grand Kuenra of Tashichhodzong in honour of the Indian Prime Minister yesterday. His Majesty the Fourth Druk Gyalpo, Their Majesties the Gyalyums, Their Royal Highnesses the Princesses and Princes also graced the luncheon, where the cabinet ministers, members of the opposition, and senior government officials from Bhutan were also invited. Bhutan’s Prime Minister Lyonchhoen Tshering Tobgay, requested earlier this week that tour operators develop special packages to attract Thai tourists, starting in June, July and August of this year, during the country’s low season. Today, the minimum daily tariff is US$ 250 per tourist per day during peak season, and US$ 200 during low season, which includes 3 star hotel accommodation, 3 meals per day, a professional guide and transport, from which the government retains a royalty (tax) of US$ 65 per tourist per day. For Thai guests the new minimum daily fee will now be only $65, everything else is not compulsory. The PM commenting on the special promotion said such an initiative would help the lean low season, thereby promoting the country as an all year round tourist destination. Tour operators, the PM said, should be able to attract Thai tourists, given His Majesty’s popularity in Thailand, and the diplomatic relations the two countries enjoy. For this to work, he said, he would also request tourism stakeholders, such as hoteliers and the national airlines, to consider huge discounts during the specified months. “Tourist season in Bhutan is just for a span of about five months, and the rest of the year is under-utilised,” he said, adding the eastern and southern belts of the country are yet to be explored. “Let us all work together to have tourists visiting the country throughout the year,” the PM said, assuring government support. It has been more than 40 years since the country opened to tourism, therefore we need to develop more products, “We could try out with Thailand, and make them feel special,” commented PM Tshering Tobgay. The PM would like to invite Thai nationals this summer by waiving off the tourists tariff. They will be required to pay only US$ 65 royalty and the tour operators package and will be offered 50% discounts on Drukair. This is to celebrate the 25 year anniversary of diplomatic relations between the two countries and also to mark the very strong friendship and mutual respect between the two royal families. Bhutan, a tiny, remote and impoverished kingdom nestling in the Himalayas between its powerful neighbours, India and China, has been almost completely cut off for centuries, it has tried to let in some aspects of the outside world while fiercely guarding its ancient traditions. 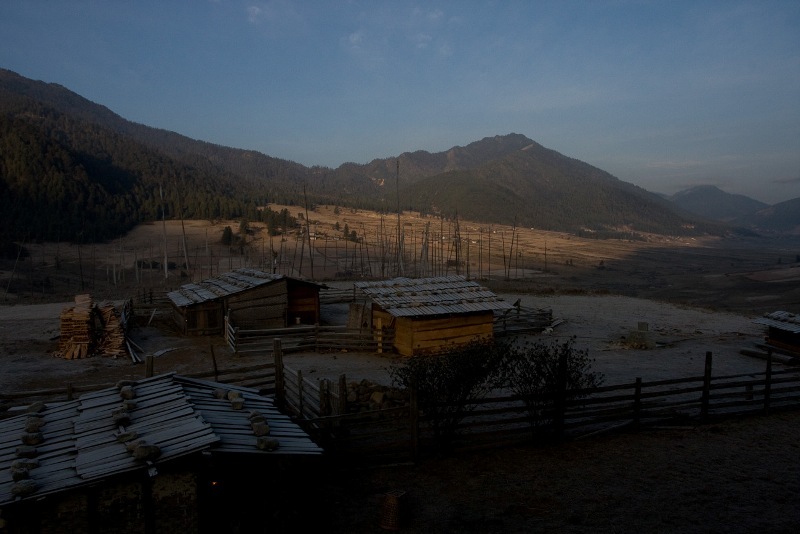 The Bhutanese name for Bhutan, Druk Yul, means “Land of the Thunder Dragon” and it only began to open up to outsiders in the 1970s. Bhutan’s ancient Buddhist culture and breathtaking scenery make it a natural tourist attraction and Bhutan welcomes thousands of Thai visitors each year. Tourism is restricted; visitors must normally travel as part of a pre-arranged package or guided tour. Backpackers and independent travellers are discouraged. National dress is compulsory for it’s citizens, the knee-length wrap-around “gho” for men and the ankle-length dress known as the “kira” for women. The Bhutanese monarchy has also promoted the philosophy of “Gross National Happiness” (GNH), which strives to achieve a balance between the spiritual and the material. The tiny kingdom’s philosophy recognises that there are many dimensions to development and that economic goals alone are not sufficient. A philosophy made popular by the present King’s father who abdicated in December 2006, paving the way for his son, Jigme Khesar Namgyel Wangchuck, to become King. For tourists from Thailand, the daily tariff is considered an impediment to growth, also tour operators have suggested that the Thai baht should be accepted instead of US$ and that the promotion be open to Thai residents. The PM said he would raise the issue of accepting Thai baht with the Royal Monetary Authority, and also look into the financial implications. He also said that the focus should be just on Thai tourists for now. The PM said tourism revenue was very important for the country to improve tourist amenities and to contribute towards health and education. “It’s like a golden goose for us,” he said. 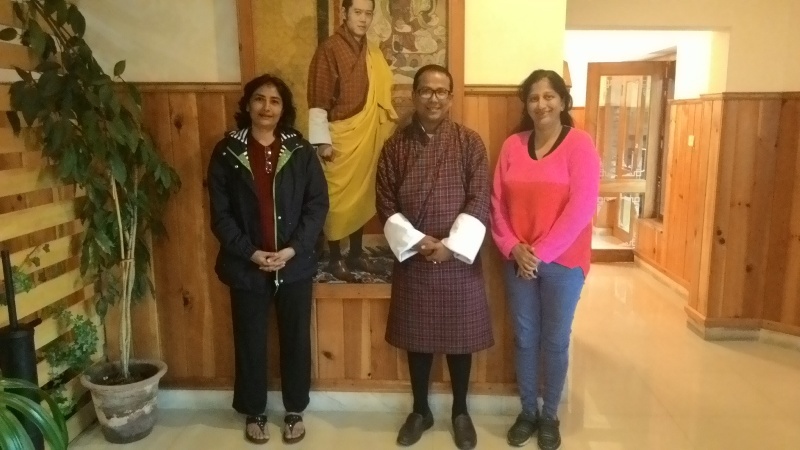 President of the Association of Bhutan Tour Operators (ABTO), Karma Lotey, said it stands as a test for tour operators. “There’s nothing for tour operators to be alarmed about,” he said, adding it was a good opportunity. “What’s important is how we package, I personally welcome the move from the government,” said Mr Lotey, CEO of the highly regarded Yangphel Adventure Travel company. The Bhutanese Prime Minister is Chairperson of the Tourism Council Board. Present at the meeting and representing the private sector on the Council Board were the Presidents of ABTO, the Bhutan Chamber of Commerce and Industries, and the Hotel Association. One observer commented, “It is amazing how many Thai people know about HM King Jigme and warmly welcome Bhutanese visitors. All Thai taxi drivers know King Jigme. Drukair: Drukair will commence scheduled flights to the entertainment capital of India, Mumbai, from May 1, making it the sixth city in India that the national airline will add to its network. The airline had initially planned on connecting Mumbai from last year, but lack of flight slots prevented it from occurring. Drukair CEO, Tandin Jamso, said, with the opening of a second terminal at Mumbai’s international airport, new flight’ slots had finally opened. He pointed out that the airline’s partnering with Make My Trip, an online travel agency, that saw a number of charter flights to Mumbai, had gone well. Once the bypass gets completed, drive between Phuentsholing to Thimphu/Paro or vice versa will be shorten by two hours, therefore total driving hours will be not more than 4 hours one way. Once completed, tourist entering and exiting Bhutan by land would experience one of smoothest and scenic drive in Bhutan. I don’t usually send reviews for my trips, but this was a very special life journey and deserves a few words. Been traveling a lot in my life for business and pleasure. Ive always had the desire to visit Bhutan one day. Last May I made my decision. Browsing on line, I contacted a few travel agencies in Bhutan including “Heavenly Bhutan Travel”. 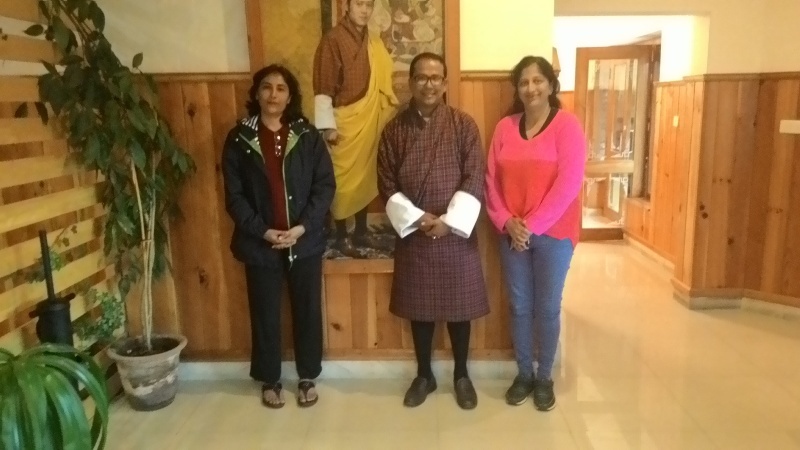 Mr. Raju from “Heavenly Bhutan Travel” was the only one who perfectly and quickly accommodated my desire on travel starting from the east of the country, in Samdrup Jongkhar, and ending to the west, in Paro. I mentioned to him the purpose and my interests for this trip as a solo tourist. I explained to him that I was interested on the every day life of the population inclusive of the spiritual, political and administrative aspects, traditions, nature and so on. I expressed my desire to stay in some five stars hotels in the country, Amankora and Uma by Como, but also in some more traditional and local accommodations. My twenty days itinerary was ready within the next day, with little to be adjusted and a selection of the places to visit and hotels that were impeccable. When I met my guide Mr. Sajan and my driver Mr. Ram, in Samdrup Jongkhar, at the border entry, I was welcomed to this Heavenly Country with a blessing and a smile full of joy. Mr. Sajan is an open encyclopedia. He knows every single detail of the country, every single corner. His knowledge of Buddhism, history and tradition of the country is impressive. He introduced me and exposed me to a lot of memorable people, events and music, which they will stay in me forever. Mr. Ram, is a wonderful person, very expert and smooth driver, impressive knowledge on the flora and the fauna of the country. With him as driver, I re-discovered the beauty and the utility of little things in nature. His sense of humor is enjoyable and funny. 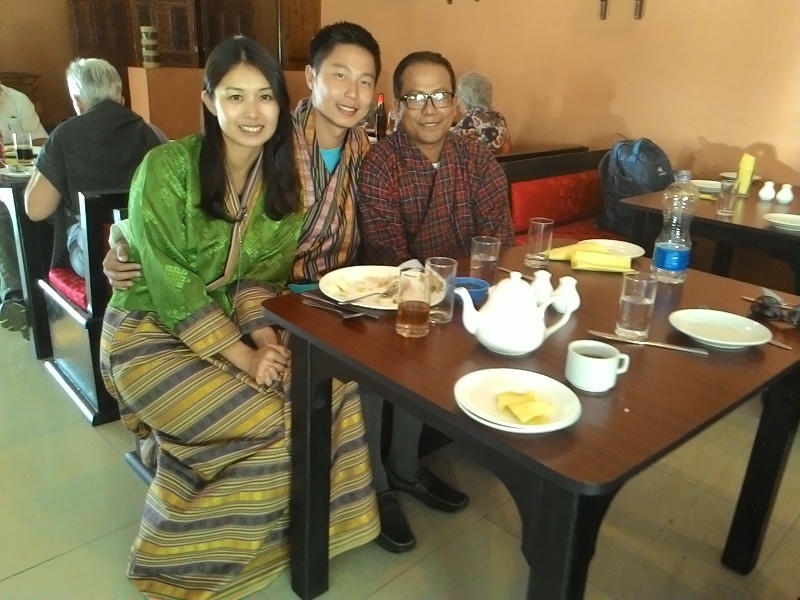 I would like to thank you Mr. Raju, Mr. Sajan and Mr. Ram from “Heavenly Bhutan Travel” to have given me the opportunity to make one of my life’s dream come through. Unfortunately after twenty days I left the country, but I gain three new friends and a wonderful experience in the journey of life. 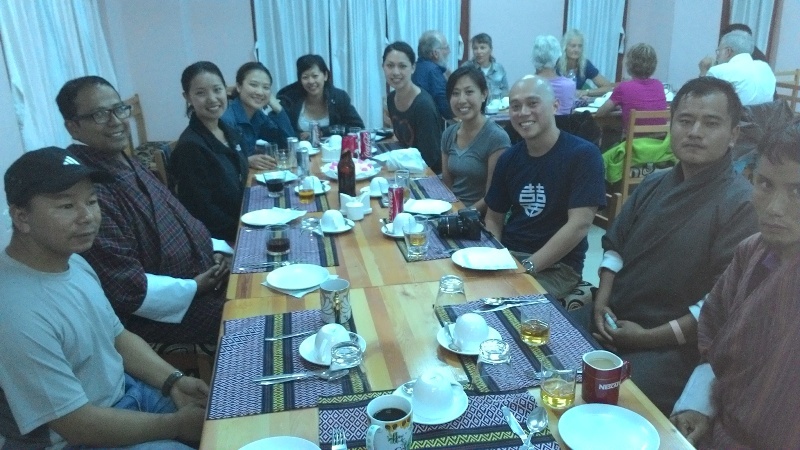 TashiDelek La “Heavenly Bhutan Travel” team, looking forward to see you soon! People’s choice for change. Although democracy in Bhutan is new, I think we are capable of doing our job. The result of primary round election on 31-May, showed DPT securing 44.5% and followed by PDP with 32.5, taking them through final which will be held on 13-July, 2013. All the best and Tashi Delek to DPT and PDP. This small note is to record our deep appreciation for all the arrangement made for our trip to Bhutan. This has been a most enjoyable trip. It was made much more comfortable by excellent guide Mr. Tek Brd and the equally excellent driver Mr. Ram. The two of them looked after our comfort well with very good driving and guidance. 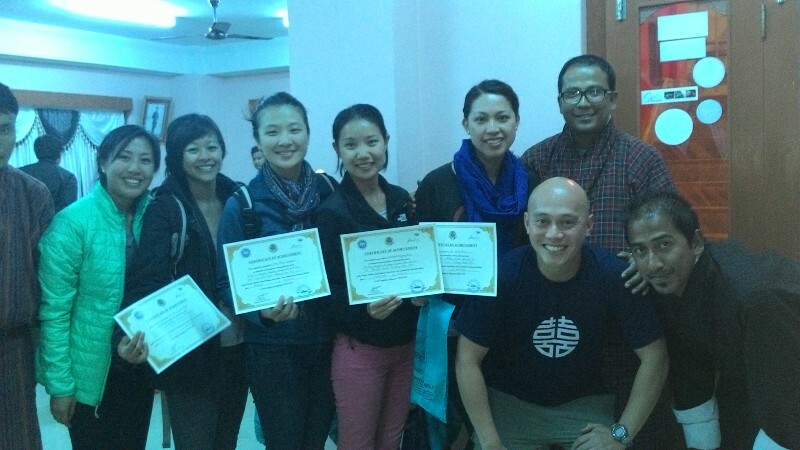 Mr. Tek impressed us with his knowledge, philosophy and very polite manner. Mr. Ram’s driving was a pleasure to experience and his friendly nature and all around knowledge added to the pleasure that we had during this trip. 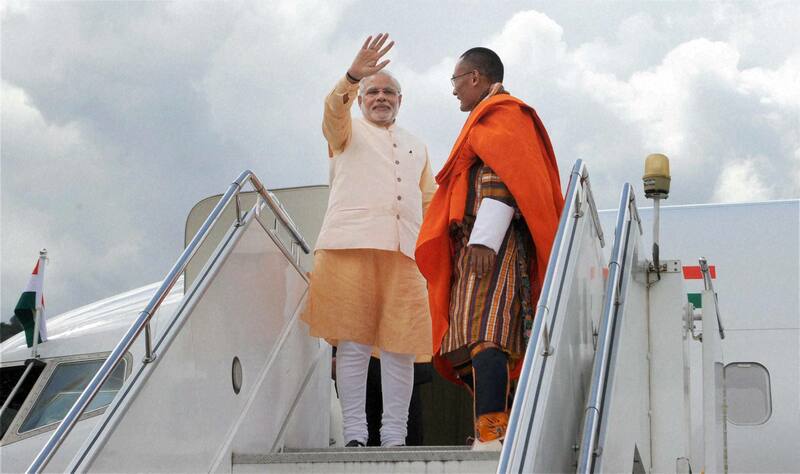 If we come again to Bhutan, we would like to have this pair to take care of our trip. 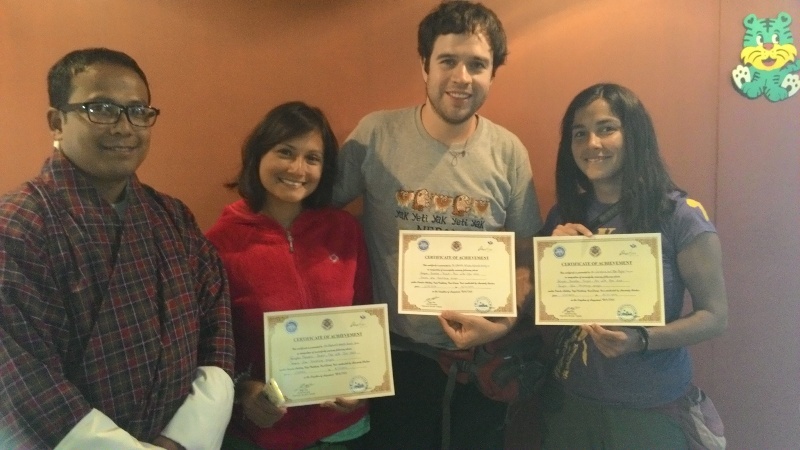 Thanking you once again for making our 1st trip to Bhutan a memorable experience. We hope your are all in good shape. We are now in Chile, with our families and facing once again our everyday routine. But we don’t forget you and beatiful Bhutan. 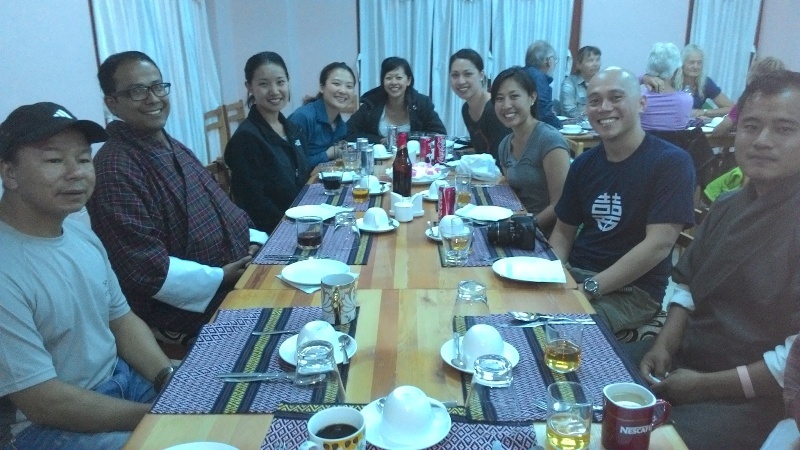 We want you to know that thanks to you and your team, our journey through Bhutan was an unforgetfull and surprising experience. Raju, having met us on our arrival and later, when we were leaving, including presents for our daughters, was a very warm and unexpected way to receive us, which we appreciate. We are also grateful for the special care you took to meet all our demands during all our stay. 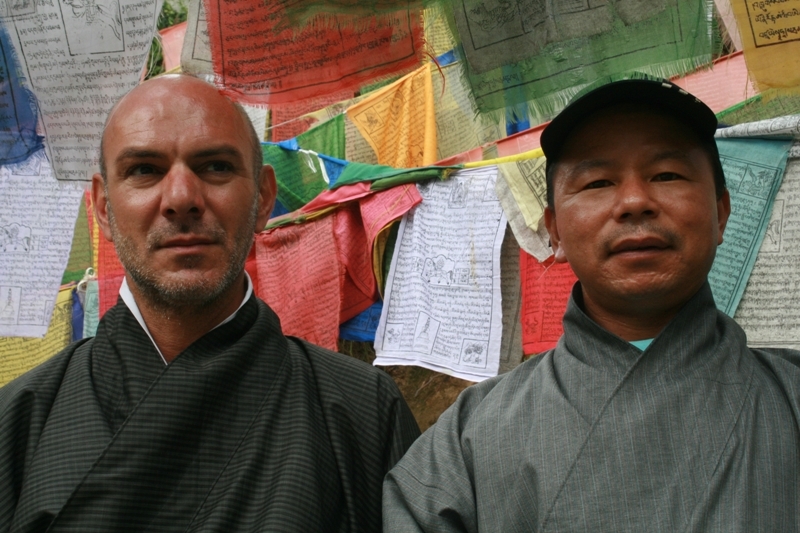 We thank Tibi, our loyal, friendly and wise guide (and good trecker, too), always attentive and mindfull during all our journey. We felt in good hands. We thank Ram (Rambo) and his excelent good humour, his expert conduction of the car and the fishing cane which gave us the oportunity of tasting excelent trouts directly picked up from the river. But also for the itinerary you chosed for us which included not only the magnificent monuments of your country, incredible sightseeings, jacks, monkeys, but also long and some times tiresome treckings which made us loose some fat and plumpiness; for visiting the school of arts and crafts; arriving at excelent Hotels and restaurants, having good local food an lots and lots of chile !!!!!!!!! including a birthday cake with candles; local dances and so many other incredible experiences difficult to forget. Finally we want to tell you that your country, with its magestic and non contaminated beauty, during the hours and hours of drive, was a perpetual cause for wonder and emotion, the same as your people, always gentle and similing. We felt always welcomed. I highly recomend people wanting to visit this magic country, to get in touch with Raju and his Heavenly Bhutan Travel agency. I can assure all that they will not be disappointed. I am enclosing some photographs for new clients to come. We have many other photos, if you need more I can send them in little groups because of the weight. Bhutan elects councillors | KuenselOnline. Best of best candidate each from 20 districts will be elected as national council member today. Many elderly people, senior citizen, school students and all walks of people are rushing to choose best candidate for NC who can represent their districts and understand them well. 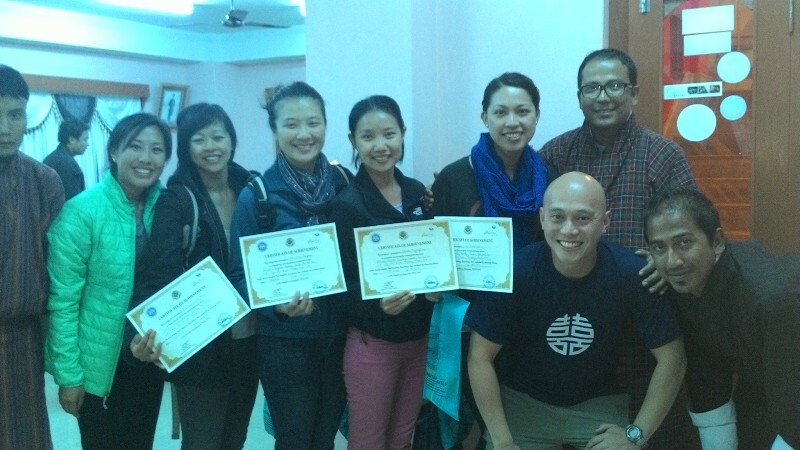 NCs play greater roles in nation building and amending the laws from the kingdom. Result will be declared after the vote is over. We hope best of the best will win. Congratulations and all the best to all NC candidates. London – January 23, 2013 – The Kingdom of Bhutan, a tiny country nestled high in the Eastern Himalayas, has been selected as one of three finalists in the “Destination Stewardship” category for the Tourism for Tomorrow Awards hosted by the World Travel & Tourism Council. The Destination Stewardship Award goes to a destination which successfully demonstrates a program of sustainable tourism, while incorporating social, cultural, environmental and economic benefits. This year’s awards panel received 133 applications from more than 46 countries on six continents, with Bhutan being shortlisted to the top three of this pool. 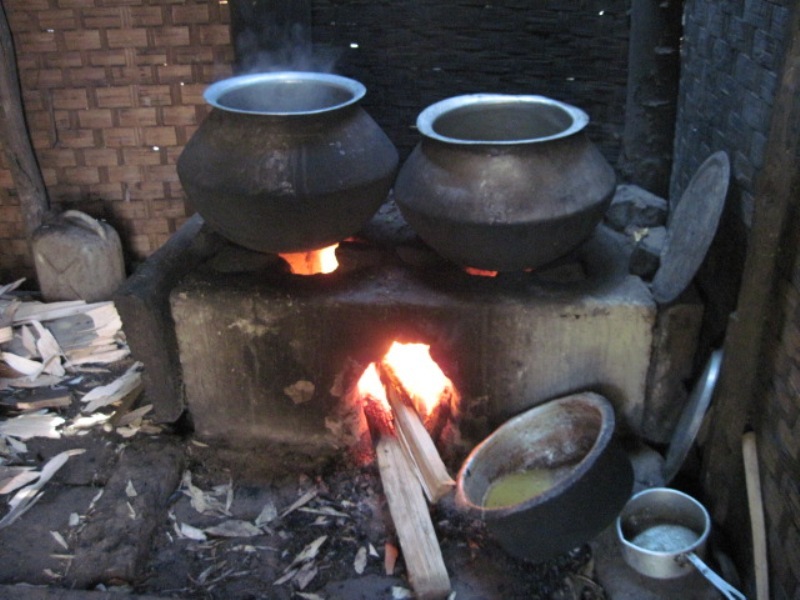 Since opening its borders to tourism in 1974, Bhutan has carefully nurtured its environment and protected its living culture, and Bhutan’s people have benefited from the resulting economic growth. Ensuring the happiness of its 750,000 people is at the core of Bhutan’s development, and the destination has long been known as a country that puts gross national happiness (GNH) ahead of gross domestic product (GDP). As noted by the World Travel & Tourism Council’s international judging panel, the Tourism Council of Bhutan adheres to not only GNH-driven practices, but also to a policy of high-value, low-impact tourism. 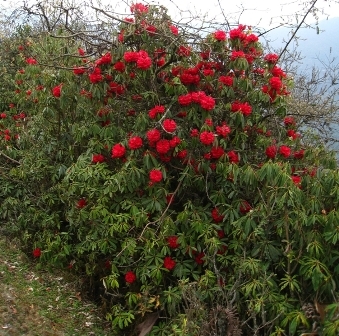 Bhutan is also known as The Land of the Thunder Dragon and is one of the last bio-diversity hot spots in the world. With 72% of the country covered in forests, 60% of the total land area protected, and its lands home to some of the world’s rarest and most endangered flora and fauna, Bhutan is an environmentalist’s dream. 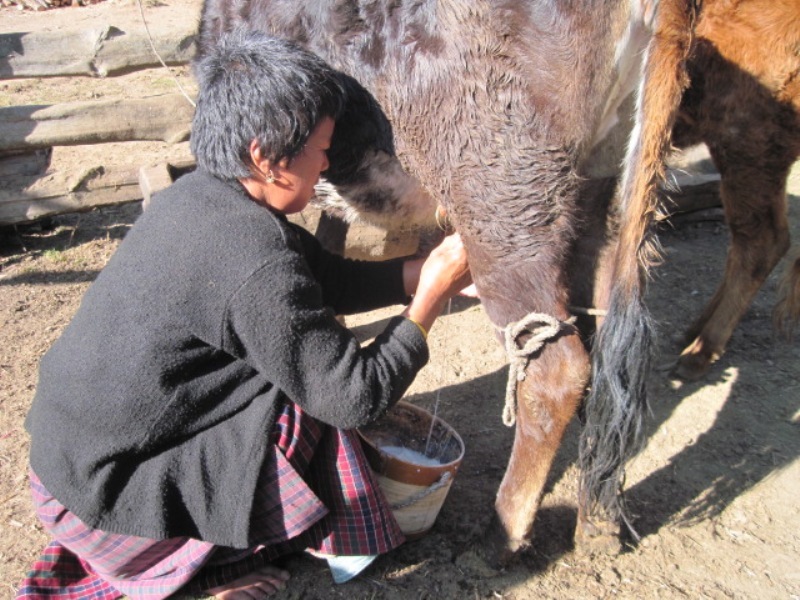 Visitors to Bhutan can marvel at the country’s varied landscape and witness for themselves how the modern world can be finely balanced with a traditional lifestyle. For further information about the Kingdom of Bhutan, including its required daily minimum package, please visit http://www.tourism.gov.bt. For the complete list of finalists for the Tourism for Tomorrow awards, please visit http://www.wttc.org. Tourism in Bhutan today is a vibrant business. 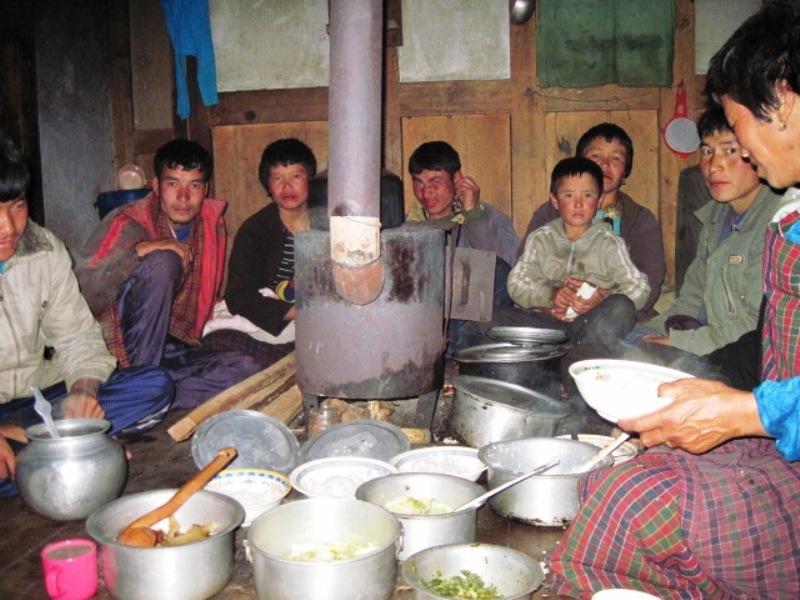 The Tourism Council of Bhutan adheres to a policy of high-value, low-impact tourism. Tourism in Bhutan is founded on the principle of sustainability, meaning that tourism must be environmentally and ecologically friendly, socially and culturally acceptable, and economically viable. 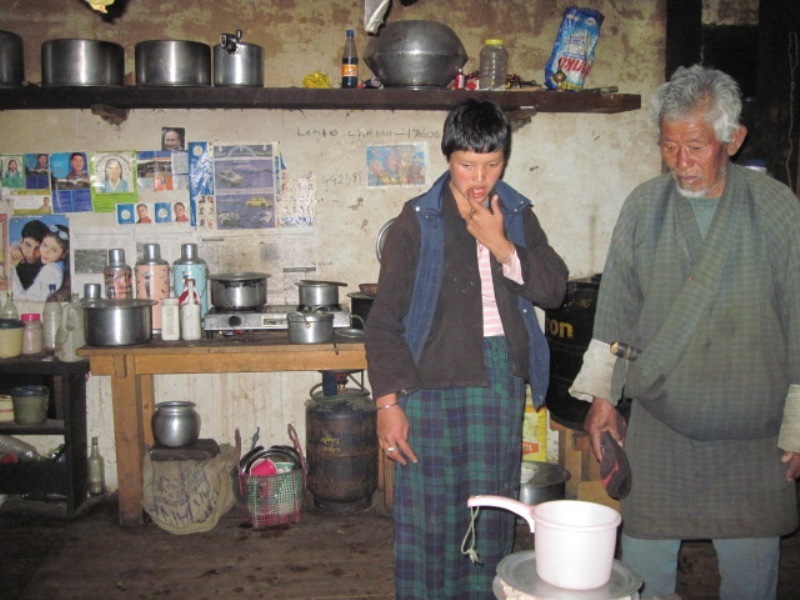 Bhutan does not limit tourist arrivals; in fact, tourism is now the government’s top priority. The Royal Government of Bhutan recognizes that tourism, in affording the opportunity to travel, can help in promoting understanding among people and building closer ties of friendship based on appreciation and respect for different cultures and lifestyles. How much is the daily rate? > USD $200 per person per night for the months of January, February, June, July, August and December. > USD $250 per person per night for the months of March, April, May, September, October and November. Why travelers look for best company? I am not saying because I run Travel Company, I am not desperate to hook any travelers into Bhutan but this is my honest observation which may be helpful to any individuals or group booking your trip through new company online which you have never seen or heard about them before. 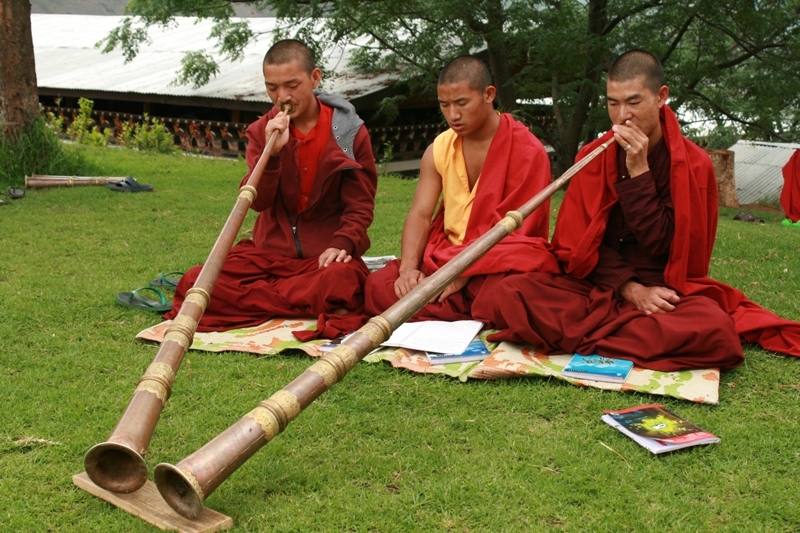 There are about more than 600 agencies in Bhutan and I am quite sure the most difficult part for tourist visiting Bhutan is finding suitable travel agent based in Bhutan, who can offer best services, best price and offer unique tours. Yes, this is what everybody needs and at the end of the day, nobody wants to spoil their most waited, expensive holiday. Having led many groups I myself throughout Bhutan, having talked with many visitors every day, having gone through many comparison between 50 yrs old companies, 20 years old companies or just born yesterday, I see there is no difference at all. Of course you are right and yes we need to be careful if we are choosing companies in other countries around the world. Why worry free in Bhutan? Probably Bhutan is the only country in the world where every single tourist is properly monitored by the government, have set one common fixed tariff with the policy of “high value, low impact” with fixed inclusion of very good international standard of hotels three star plus and all included full board packages. Despite any experiences, volume or places to be covered, the set minimum tariff is same for all the tour operators/travel agents. Therefore Bhutan is infact I say worry free, peaceful travel destination in the world. I am sure the question of looking best Travel Company is not yet solved but here’s what might make you feel better hence forth. I personally feel the new companies are far far better than experienced renowned companies. This is because every new individual wants their company to get more business and to increase every season just like every one of us and toward this goal, every young players end of providing many many extra services, best price and hotels as we know the strong promotion would be word of mouth. Moreover its easy, since the tariff is set by the government, and have set services that you are guaranteed. So why to waste our time looking best company? Click anywhere you like and pick up whoever fulfills your needs and provides suitable programs that you are looking for. Did I make any difference? I Hope so…….enjoy your holiday. Your opinion is more than welcomed. Do you want to know about Bhutan? Read following books of your choice apart from Lonely Planet, those are awesome. 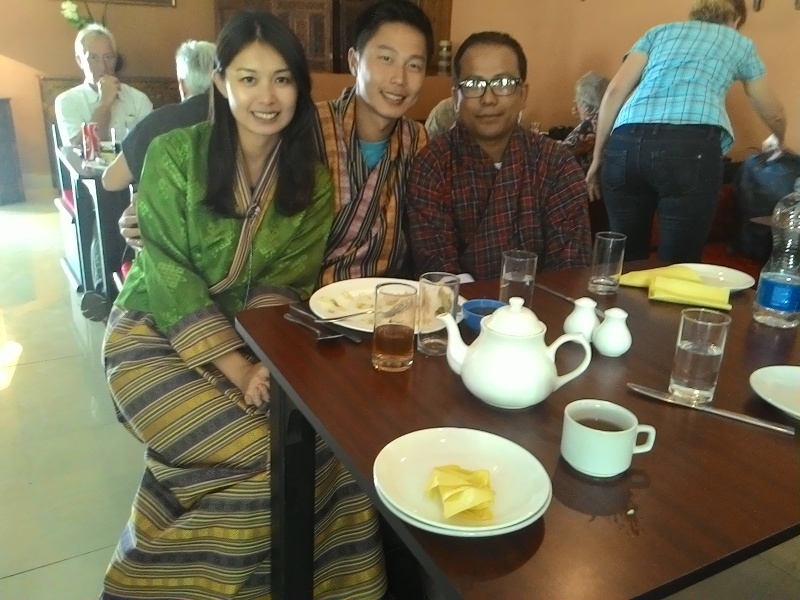 The authors talked about Bhutan and expressed their experience truly through Bhutanese eyes not as visitors by far. The Dzong was built by 3rd Druk Desi, Chogyal Minjur Tempa in 1669 as per the wish made by Zhabdrung before he went into retreat in 1652. Chogyal Minjur Tempa ruled the country from 1667 to 1680 and died in 1691. 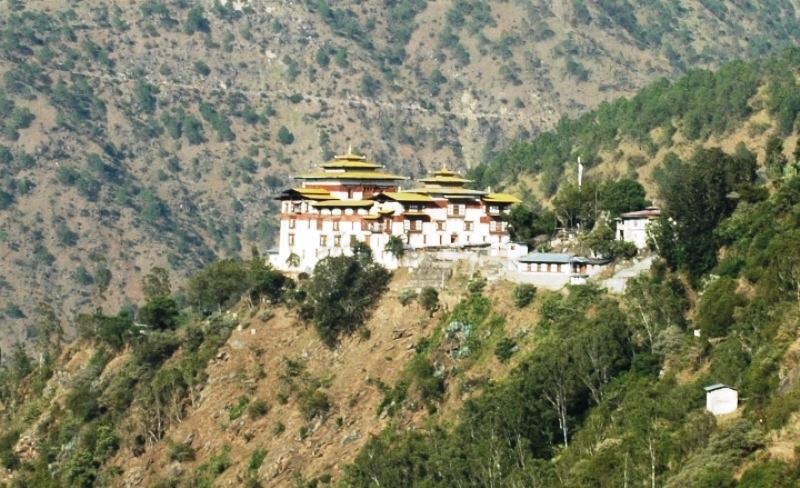 The Dzong was built on commanding hill top overlooking Drangme Chhu to defend Tibetans invader in 17 century. Today it houses the office of the district administrative officer and district monk body. Eyes full of tears to see one of our most beautiful and historical 17th century Wangdue Phodrang Dzong razing by the fire to the ground, saddest thing is, we are helpless and not able to safe our most important historical site. Visited Char Dham in Namchi, which was recently open for public. Yatra was very interesting and it is considered as four most important shrines of India. 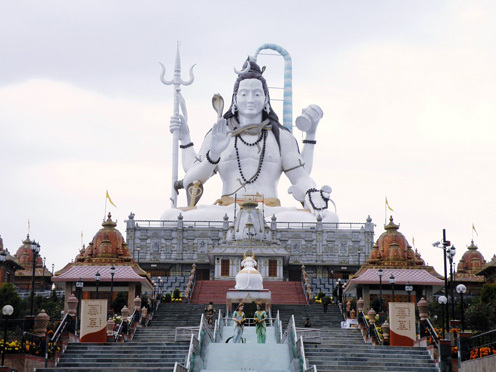 There is huge statue of Shiva built on the top of the main Shiva mandir on the hill top overlooking eastern hill station of Namchi, south Sikkim and upper slope of Namchi town. Chardham has about 22 dhams with in its compound of which about twelve shiv mandirs surrounded the main one. It’s worth visiting. Samdruptse in Namchi has another attraction, a giant Guru statue of 120 ft tall built like that of one which is under construction in Lhuntse, Bhutan. HBT LOGO: Three Castles in the center, build on the moving clouds, under the bright sun in the atmosphere. Bright sunshine above means “Travelers who choose to travel with HBT will fill with happiness, enjoyment and makes you feel warm” like that of sun. The most excited moment for the nation is just about 19 days away from today. We count every single day to be part of the happiest nation to witness our most beloved king (people’s king) wedding. With utmost dedication and sincere love, we as a people of Bhutan would like to wish our (Royal Couple) match made in heaven, the most interesting , enjoyable and safe journey together for generation to generation. We love you so much. It was around 6.40pm on 18th Sept, 2011. When I was about to write a mail to my friend, suddenly I found myself shaking like anything, when I stood up I knew its massive earthquake taking place somewhere, the shake was too strong as I was not to stand enough. Everything started getting off from the showcase, rack, cupboard etc, door and window cracking, I kept myself silent in the room (4th floor) started praying god help me. Inside I felt I am surely going to die and thought this will be the end of my world. I also realized that what a bad occasion to die (on birth day). Imagination house collapsing in my mind was the worst part of the quake for me ah…. 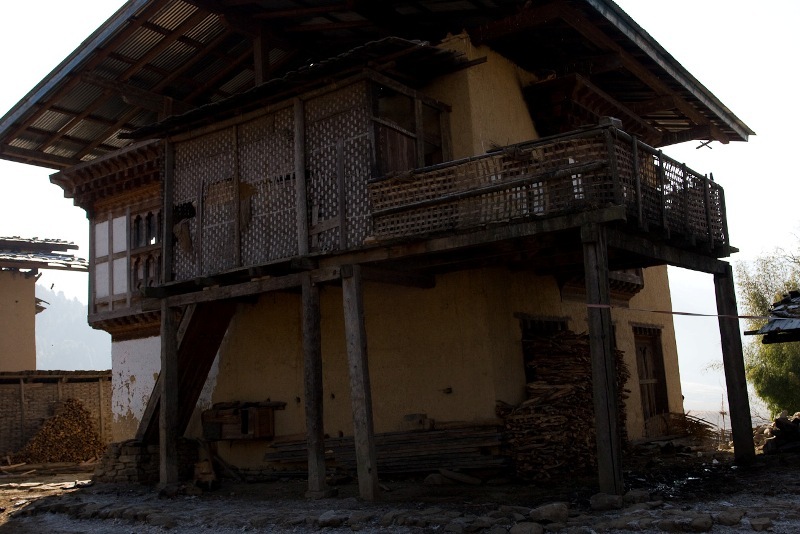 Thank god the quake just lasted about a min, would have been more than a min surely the building that I stay could have gone to the ground as it is poorly build in 90s, when people were not much aware of the earthquake prone zone in Bhutan. We never know when we have to recall this moment again. Oh god let not anybody be in this situation in the whole world, not even my deadliest enemy. Be Happy always, life is short. First ever domestic airport of Bhutan in Yonphula (Tashigang) was successfully tested yesterday. It is proved that airport is ready for the flight operations. Flight from Paro will take about 30mins to reach Yonphula, which usually used to take about two days by road. With increasing number of domestic airports, flights and infrastructure in the country, we are hopping to provide better facilities to our valued customers and more interesting programs within short span of time. 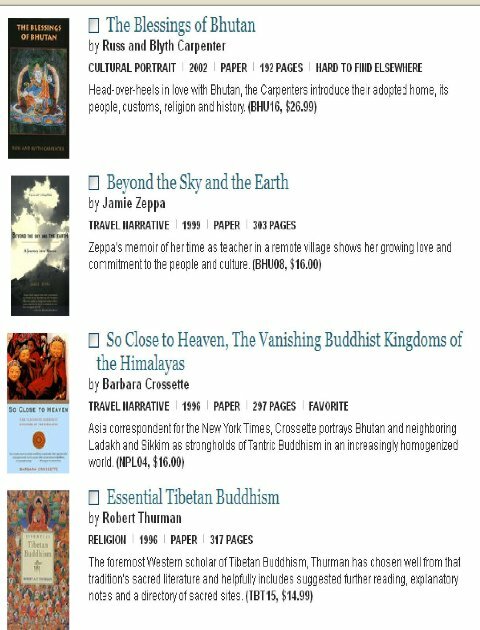 Gross National Happiness is all about being happy. There is no short cut to achieve Gross National Happiness, then how can we have gross national happiness? We have GNH everywhere, just be happy with what we have, do not desire more, there is suffering everywhere and suffering is cause of desire.. desire will end the life…and no one can carry forward our own desire, dreams, wealth etc when we leave this beautiful world so let us be happy now……. Let us laugh together…., let us smile to everyone…., it doesn’t cost single penny. Let us enjoy every bit of our life because nothing is permanent in this world.